Hunting morel mushrooms in Oregon is a passion of mine. I like to offer tips on how to score one of the world's most delectable foods. What is it that draws people off of their couches, out of their homes, and into the thickets of the woods to go and hunt for these elusive and ugly mushrooms? Well, for me, it is the joy of the hunt. 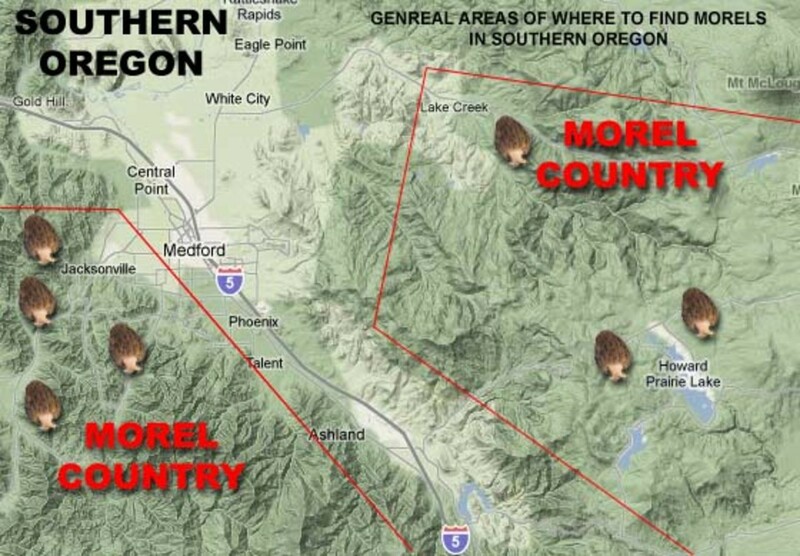 The hunt is on here in Southern Oregon as morels (Morchellas) pop up in the woods after long, drawn-out winters. When you find a morel foraging, there is a sort of primal exhilaration that hits you and you don't want to stop! It is one of the most addicting and enjoyable hobbies I've ever had. 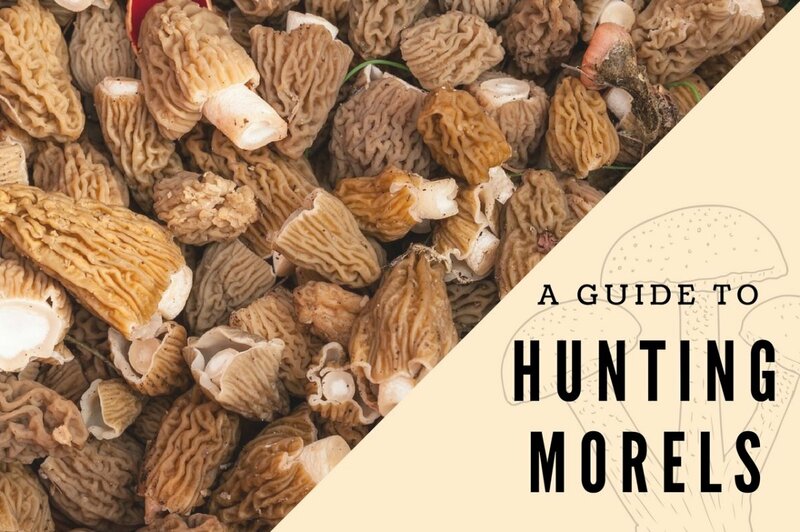 So, you want to hunt morels? Well, you've got to know what you're doing and what to bring with you. 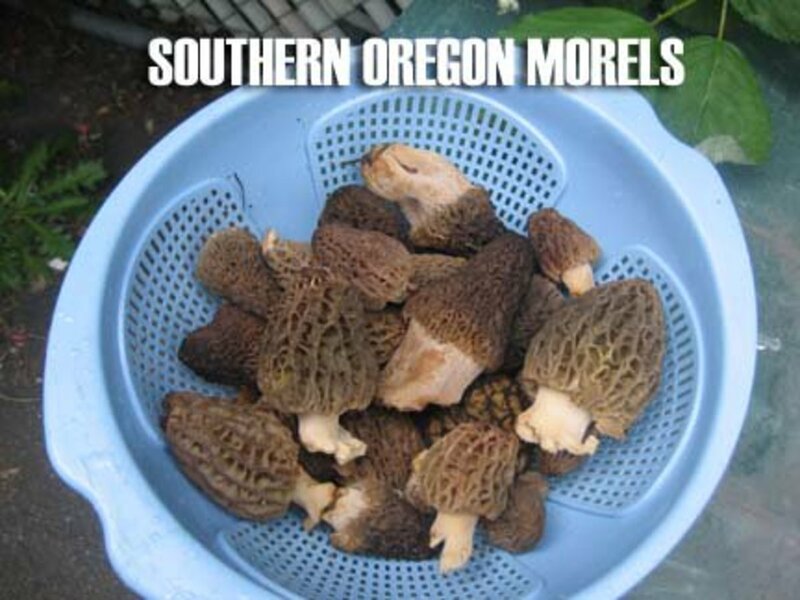 In this article, I'll teach you exactly what to do and how to locate morels here in Southern Oregon. Eating unknown mushrooms from the wild can be dangerous! Many wild mushrooms are poisonous; they can make you very sick or even kill you. Use caution and never forage without someone who knows what they are looking for. And always research the subject before ever venturing into the woods to do any foraging. Here is a map of the general areas where I've hunted morels. Where Can You Pick Morel Mushrooms? I could be killed for revealing these spots, but I am listing general places here in Southern Oregon where I have found morels. Morel hunting spots are like gold here and people guard their spots with dedication like they would a gold claim. I feel like this is sort of foolish since anyone can go on public land and pick morels. In the table below, I give a general area of where you will find them in Southern Oregon. You can find pounds up around the dam in Applegate. 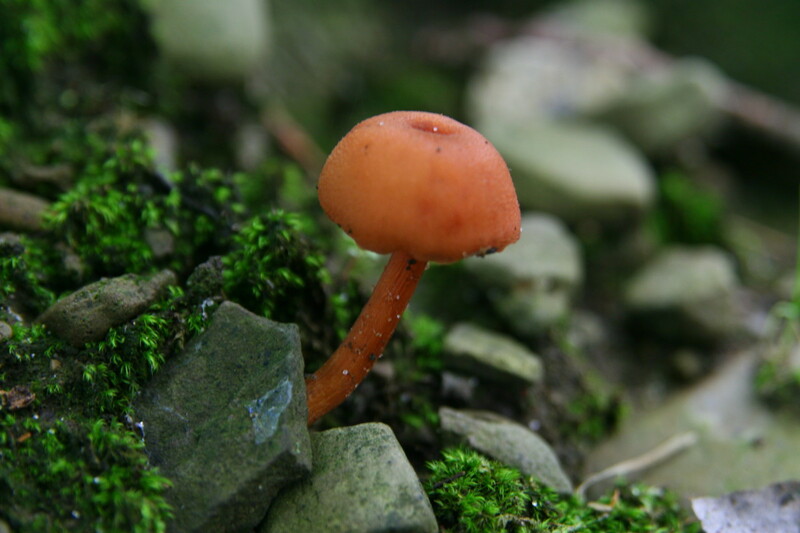 Look for stems as the caps are camouflaged against the dark earth and forest litter. We recently found morels up around a clear cutting burn site on Ob enchain. Water: Always have bottled water or a canteen of fresh water with you. I keep bottles of water in the trunk of my vehicle as well. 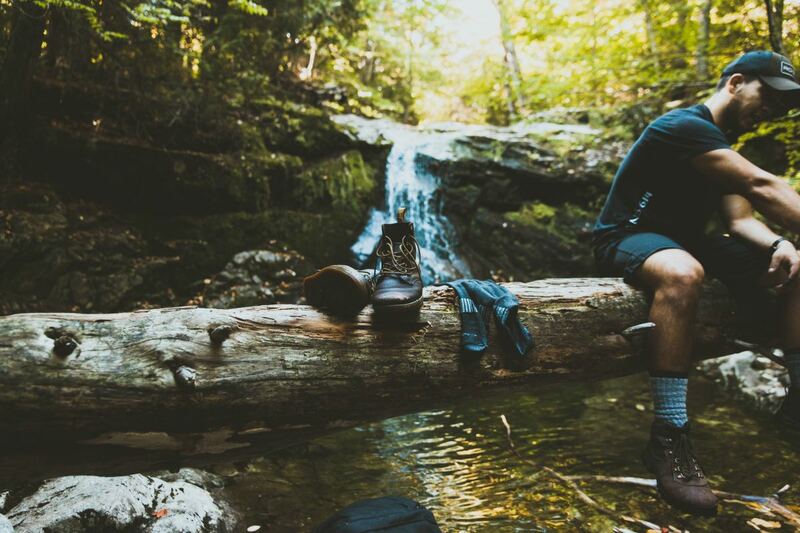 A Compass, Maps, or GPS: When out in the woods it is easy to get lost. Always bring a compass and have maps of the area you are in. You can get lost easily with your eyes pinned to the ground and the forest canopy can make it easy to get turned around. Know where you are and travel with a group of people. Knowing how to use a compass, having maps, or having a GPS device (even better) can save your life. Pocket Knife: Bring a pocket knife to cut the morels from their stems. You cut them just below the base of the cap and leave the stock. Mesh Bags: Mesh bags are great because they allow for morel spores to drop as you trek through the forest back to your vehicle. It also allows for the fungus to breath and not spoil like they do in buckets. Long-Sleeved Clothes and Head Cover: Long sleeves are a good idea when out in the forest because morels grow in thickets and in deep brush. With all the nasty bugs like ticks and sharp sticks, it is a good idea to remain covered. Wear boots or good footwear when out in the forest since you will be in heavy terrain. An Emergency Kit and a Snake Bite Kit: Always have an emergency kit in your vehicle and one that you carry with you (see below). I have a backpack that I carry my emergency kit in. You can also bring energy bars which is a good idea if you are going to be in the woods for hours on end like I am; remember to carry out your trash! Mushroom Field Guide: Having a guidebook can help you identify the types of mushrooms you come across. There are many different species and many of them grow wild in the woods. 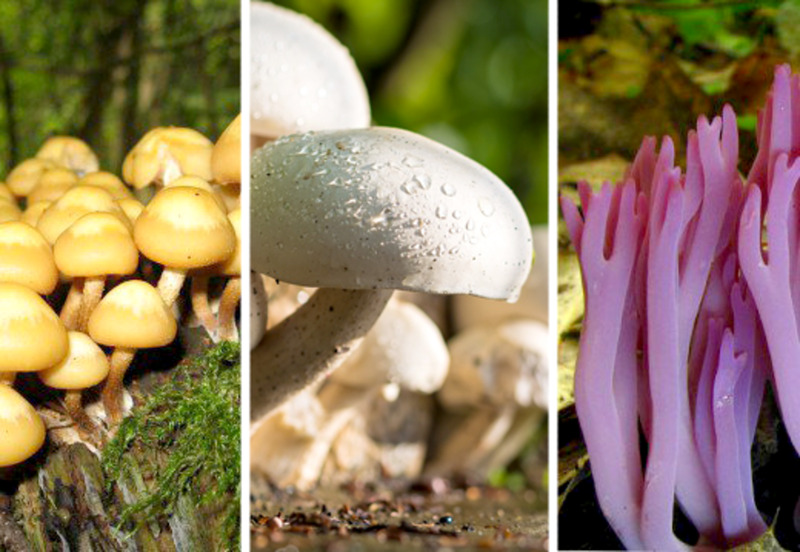 Having a guide can help you find other mushrooms you may want to grab on your hunt! If it is your first time or you are not experienced and out alone hunting, I recommend you use one of these guides for sure. Don't risk your life on getting the wrong kind of shroom. Look-alikes can be deadly! 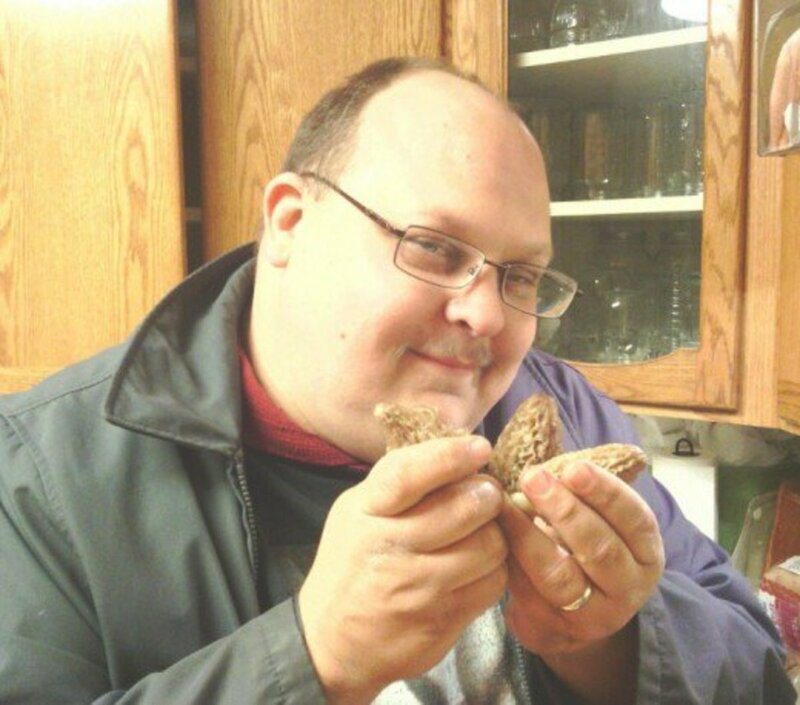 Yes, that's me with morels. Finding morels seems like it would be easy, but it's not. 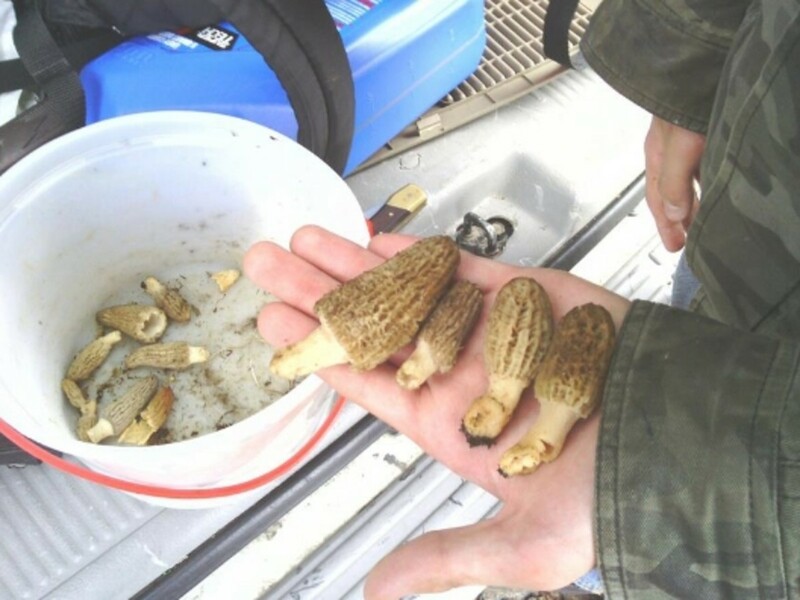 That is why they call it hunting morels and not morel gathering. Morels blend into the environment, and they can look like pine-cones, rocks, and deadwood in the forest. They pop up like little cones out of the ground and can be slanted, domed-shaped, or pointed, and they are hard to spot. In some cases, you can be standing right over them and never see them. Once you see one though, you can pretty much tell there are more around in that area. Morel mushrooms are hard to find. They blend into the environment seamlessly, and you need a good eye to spot them. They can grow alone or in clusters. They spawn in pretty much the same area. If you find one, you will find more. Look in clearings and near the base of low trees. Look under pine needles and in thickets of recently burned wood and dead trees. Morels grow on north-facing slopes and at the snow line. Morels pop up after fresh rain and a few days of sun. They like the warmth of the day and will pop up when the sun has been out after a fresh rain. What Do False Morels Look Like? Always go with someone experienced who knows what morels look like and can identify them easily. There are many dangerous look-a-likes in the woods and they are deadly. There is no cure for mushroom poisoning so use caution. Morels have a hollow stem and connect under the head of the mushroom to the stock. 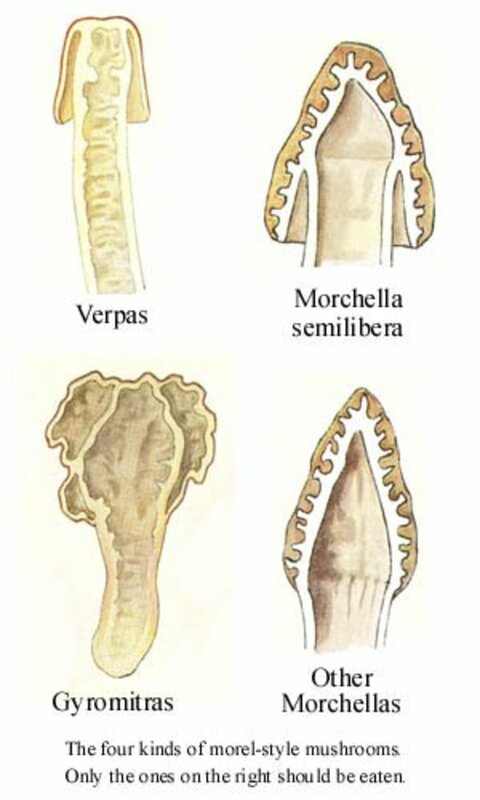 If the stem is solid, then the morel is a false morel. 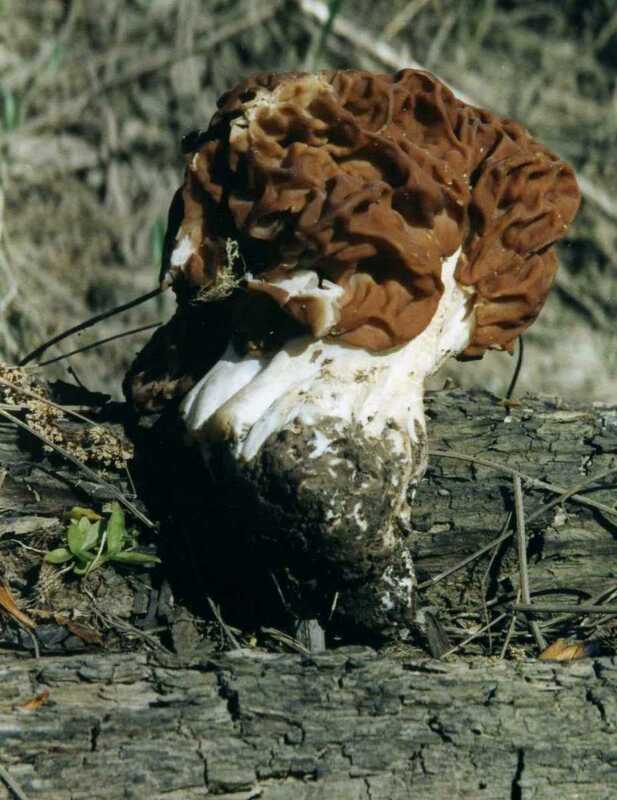 If the head is barely attached, then it is a false morel. Dark, bulbous heads without the spongy look of a morel are false and deadly mushrooms. 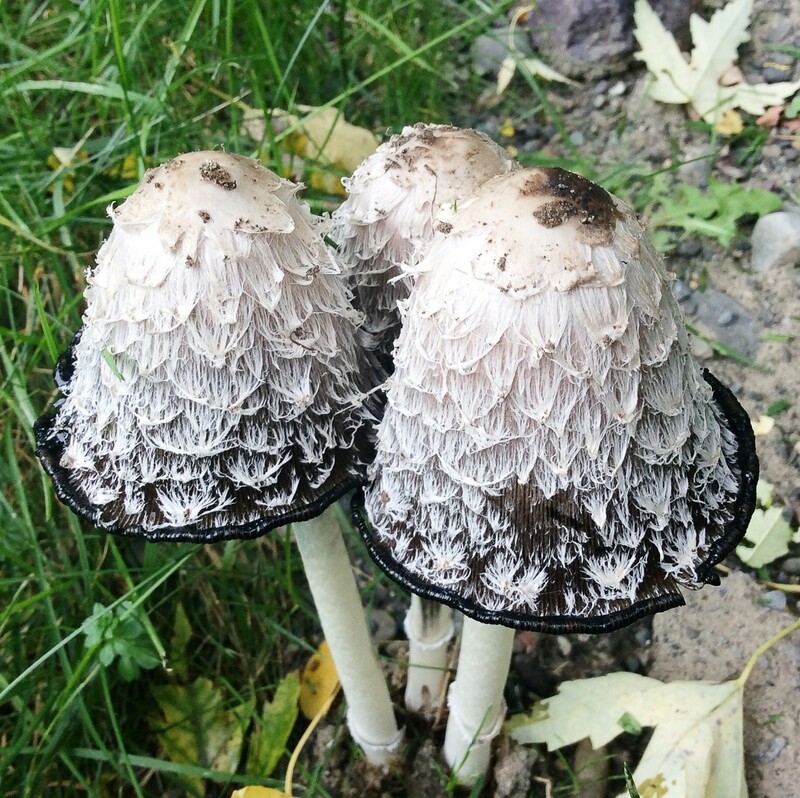 The above link can help you to identify other species of mushrooms and give you a healthy knowledge of the mycology here in the Northwest. 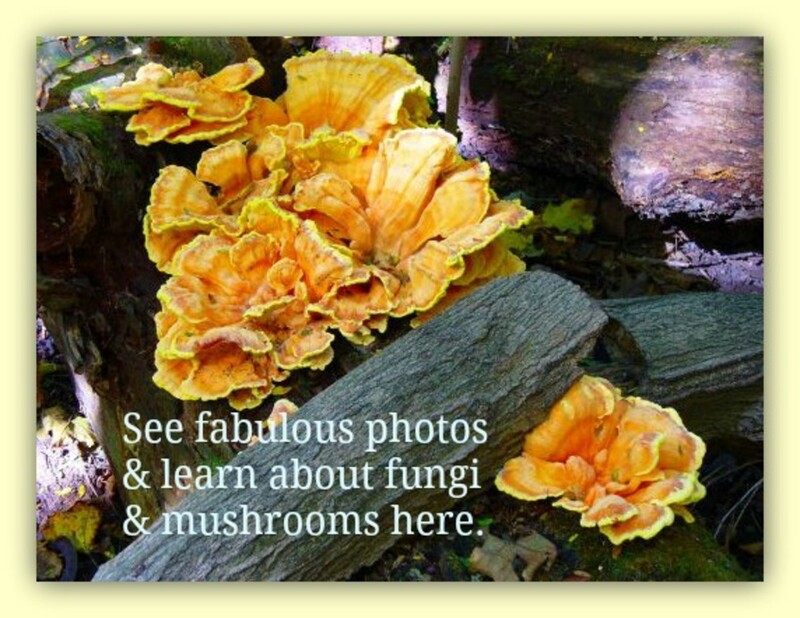 I urge you to get familiar with these species so you know what you are picking and so you are educated about many of the different mushrooms you will encounter in the woods. My take after one foraging trip into the woods. Morels should be scrubed with a mushroom brush but if you do not have a mushroom brush they should be rinsed clean and if not eaten right away, placed in a refrigerator. I place mine in a bowl lined with paper towels and cover them with paper towels when kept in the fridge. Bugs or mites may crawl out of the spongy tops of the shroom when cold and drop to the bottom of the bowl; this is why I cover them. How to Wash Morel Mushrooms. Place your mushrooms in the bowl overnight covered lightly with a paper towel. Use a mushroom brush to clean your mushrooms or rinse them in cold water..
Use them in your food. By far the better way to clean your mushrooms is to use a mushroom brush like the one above. 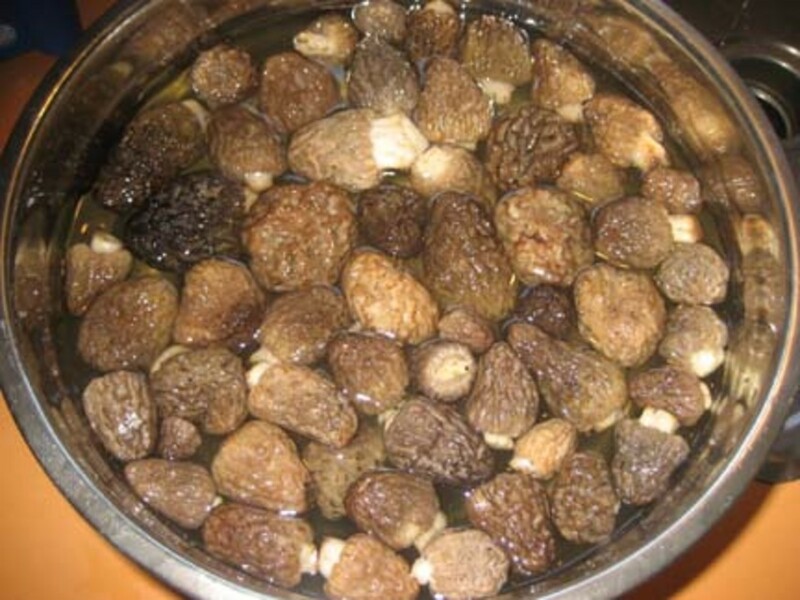 To rid the morels of bugs, you soak them in a lukewarm salt water mixture for 2 hours or overnight. If you have a dehydrator, then you can dehydrate your morels and they will last for years. Place them into an air-tight bag or jar and put them away. When you want to use them, place them in a bowl of water for a few hours and they will return to their original size. They lose some of their taste but are still great in your food. They are sold this way to consumers and I store mine this way. 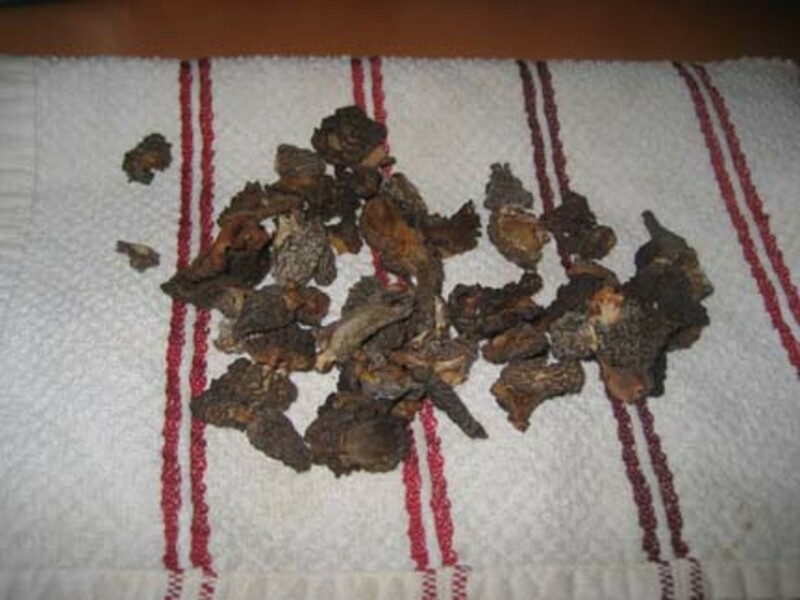 Dehydrated morel mushrooms will keep for years if kept in a air-tight, dry place. 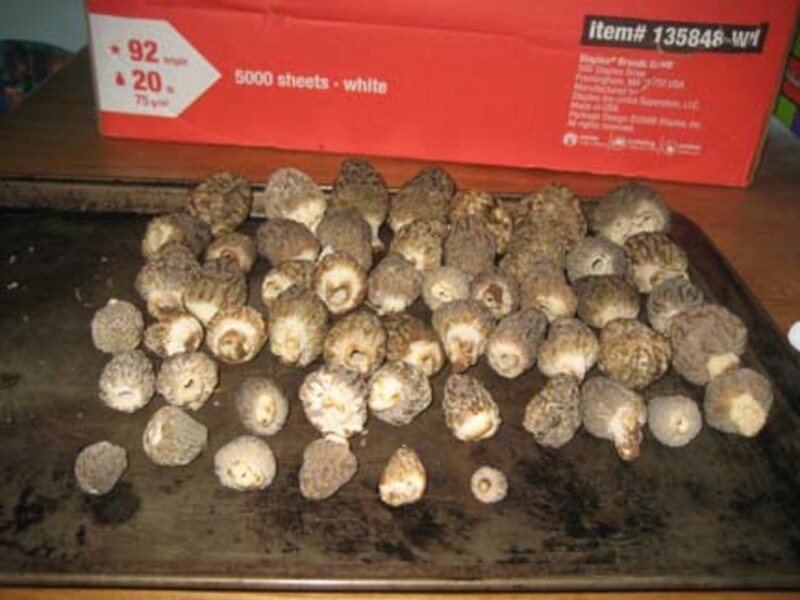 If you are interested in selling these valued morsels then you can stop by a mushroom buyer. When morel season hits, there are buyers from fancy restaurants that will buy your best morels. 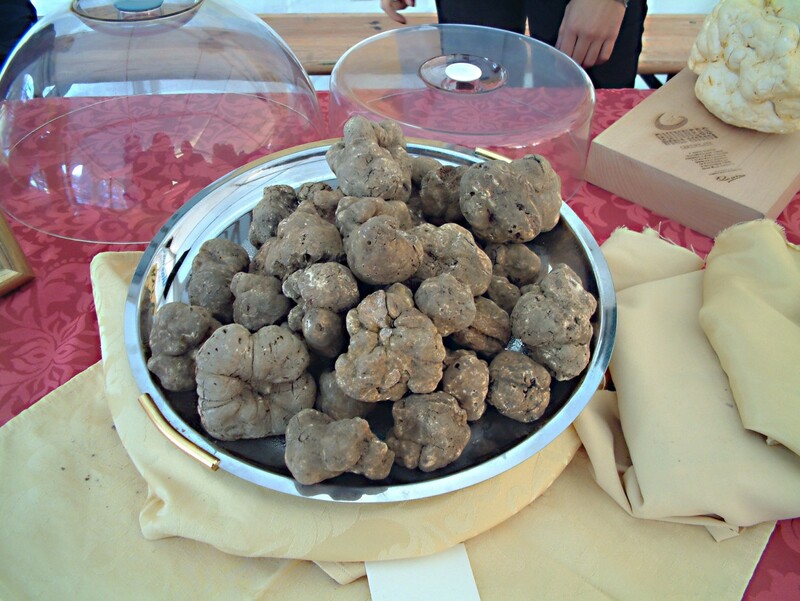 Morels are used in expensive meals like pasta dishes and in Asian food. Since they are a labor-intensive food, they fetch a high price. Look for morel prices in your area. 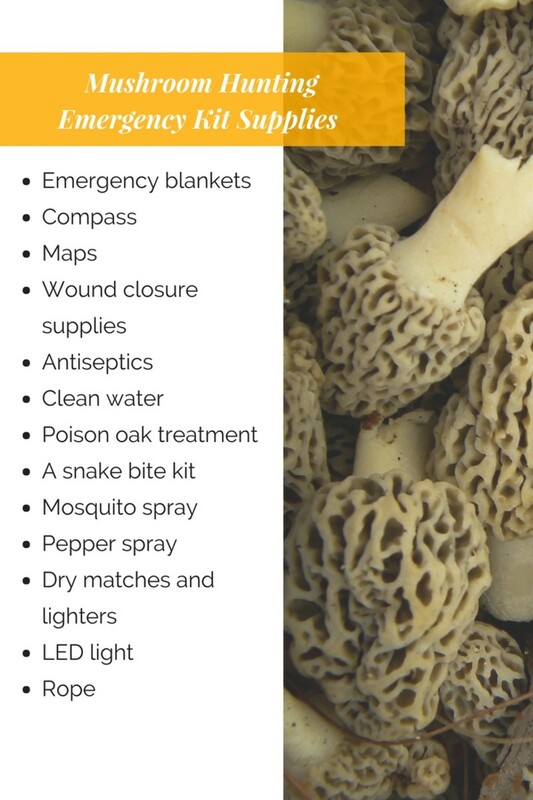 If you plan to sell them then get a permit to gather and sell morels at the local BLM office. 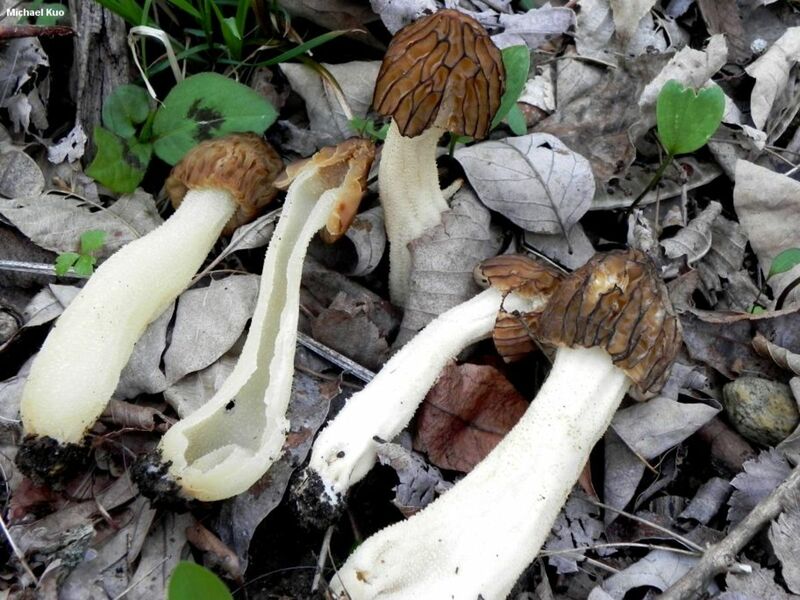 Where to locate morel mushrooms and other mushrooms that grow in the wild. When the best times to hunt for local morel mushrooms are. When to harvest other wild edibles (local wild asparagus in the orchards) and blackberries that grow locally all over. Times of the season and conditions that are best for hunting. Weather conditions that are better for hunting. Wildlife that can cause harm: snakes, skunks, bears, and cougars. Recent burn areas that are favorable for hunting. Elevation changes for morel growth and seasonal weather changes that affect growth. Where to buy or sell the morel mushrooms. When I am out in the woods I feel closer to nature than I ever have. Trail hiking is cool, but when you venture into the raw forest, you really get to see what it must have been like for our ancestors to trek into the unknown. It is amazing how beautiful nature can be, and it really makes you want to protect it. I suggest you go off the beaten path and into the raw forest to forage, walk on deer trails, and stumble over dead trees—half a foot deep leaf rot, and soft, dark earth. Appreciate how the ferns dot the forest and how the moss grows on everything, creating an almost mythical feeling. Stumble across creeks and waterfalls, hollowed out tree tunnels, and experience some of nature's awesome creatures. 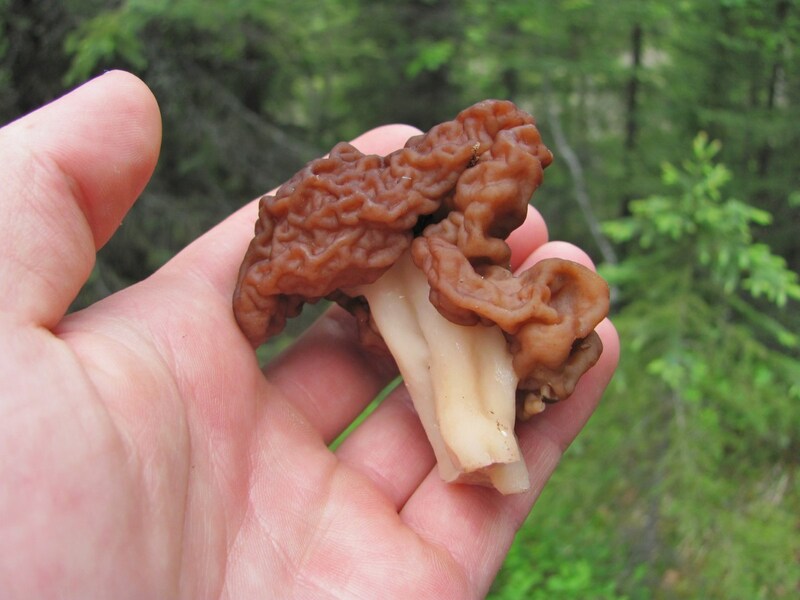 Have you ever eatin a morel mushroom? Yes, I eat them every year. I'm scared to try one because they are ugly. I tried one once but was not impressed. I hope you enjoyed this article and happy hunting! Of course Christy. Any forested area depending on altitude and time of year. Later spring the higher up you go. Coast mushrooms are abundant in the woods near the ocean. Do they grow on the coast? I live 5 miles inland from Coos Bay, was wondering if any grew around here? Another article on Oregon's mushroom bounty. Thanks for the post. There's nothing wrong with sharing, as long as the privilege is not abused by the greedy people out there. You know who you are! Thanks Dill, it's always nice to know that people think they own the outdoors. If you read the information you'd see that I tell people to respect the areas they are hunting in. I go to Applegate, Howard Prarie. Hyatte Lake... Dude you see TONS of vehicles parked in the woods for people looking for mushrooms. You must be do this for money... Did you see that you need a permit to do that? I write about that as well. You act as if you are somehow entitled to be out there mushroom hunting. You do not have spots that are YOURS for keeping. If I am out in the woods and find mushrooms I do not have to suddenly freak out because this might be DILLS spot. Dude get over yourself and let go of your THIS IS MY SPOT attitude. Thanks for the cemetary info applegate dam info etc... (you know exact spots and all) YOU ARE everything that is wrong with modern day foraging practices..
Nice Hub! I am moving up o Drain this winter from Central California ( Porcini country!!) and am excited to get some Morels, Hedgehogs, and Yellow foot chanterelles! Thanks for all those site tips. I will try to check out Howard Prairie area soon. My daughter in law found some morels on a year old mulch outside her vegetable garden, near the river in White City. Other than those few, we didn't find any more, so I told my son to spread the wood ash from his pizza oven in some areas and maybe next year they would get more. 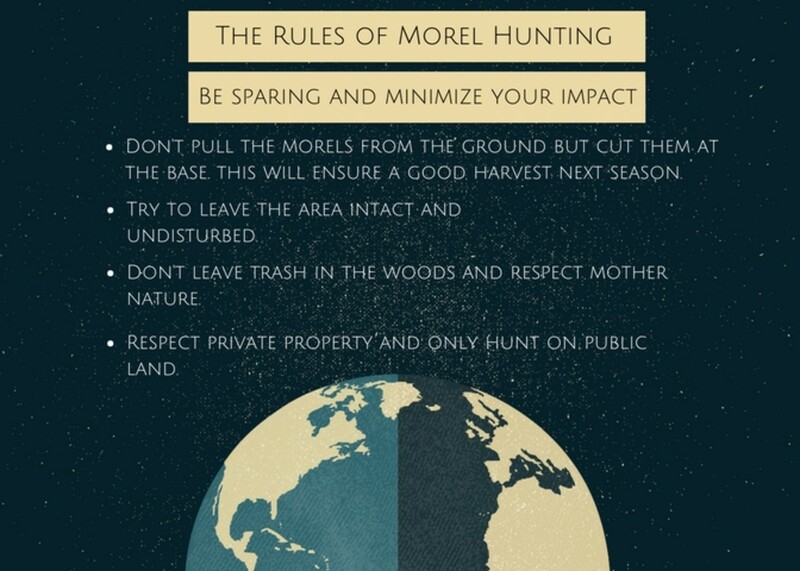 I run into alot of people hunting morels and most dont know this but if you use a plastic bag or paper bag when gathering you dont spread the spores for next year. Use a type of netting kinda like a soccer ball bag just smaller scale. This way you will have spead the spores while walking around and even more will come up the next year!!! Is anyone else having the epic year I have been? I seem to be getting 5lbs+ a trip everywhere in about 4 hours of searching... got some in the dryer more freezing and fridge is stuffed. I haven't been out yet. I had back surgery recently. It has been two years now since I really went and did it. I had heart surgery or what they call a quad or CABG x 4. But I am healing up and as soon as April hits, I will be up in the hills. This weekend I am going to Jacksonville to hunt with my kids. Cow Flipper, with the recent amazing weather, any luck so far this season? New picker so not sure what's the best time to go out and look. NEVER soak mushrooms in salt water or any water! Brush them off with a mushroom brush. I am a professional chef and a mushroom lover. I have picked for over 18 years all over the state. Sometimes the besit picks I've had were in delivered decorative yard bark! As a cop, I recall one year where it got so crowded in the woods that Cambodians were involved in at least six shootings (of other Cambodians) in picking areas they feel they "own." Thanks charlesspock, yeah here they have stands set up on the side of the road. The Pacific Northwest has lots of Asian and Hispanic mushroom hunters that sell and go out in large groups, they scour entire mountainsides! There have even been times in the past where these groups have clashed physically. It hasn't happened in the past few years and I suspect many of these seasonal hunters have moved north to Washington and into northern Oregon. But the mushroom buyers are usually around from May to June here. I hope your friend finds a way to share in his old hobby that it brings her blessings and peace. Thanks for the comments. Hey JJ I agree with you, morels are strange and they do grow on north and south facing slopes. The idea is that in winter the sun is more south and low so the moisture from rain and morning dew is kept more in the north facing side of hills. That's the idea at least. It can be that trees, obstructions, and other naturally occurring phenomena such as fauna can also produce this effect. The variations are so large that it is impossible to predict where they will be growing for sure. Burn areas, orchards, pine forests... the idea is that they grow in thick wooded areas usually popping after fresh rain, below the snow lines from lower elevations and then progressively as the season heats up higher and higher elevations. Have fun and Pray to the Morel King that you reap a great abundance. You must be the kind of person that believes in the first rule of Fight Club. How if it is your first time ever going out to find morels are you to do so without even an idea of where to look? The map is there (and if you look it isn't so detailed as to show people areas on a GPS of where I go) for the general public to get an idea of where to go. Most people are not so greedy and I hate to say it dense as to believe that they have a corner in the forest that only they know about where morels grow. Morels grow all over! They grow in more abundance in some places and that is what people call their spot but let me tell you I've been to THEIR SPOTS and they have been picked! Guess what... their spot was someone else's spot too! Concept and point, morels grow where ever morels grow. Unless you have mass property and a hundred acre woods or an orchard then guess what... You don't own a spot in the woods. :) Have a great day and yes GOOD LUCK to you, you do need it. why do i keep hearing about the north slopes in these posts but here in the cascades just west of you I find them south facing? good patches too! Im just out there trying to have fun so... Thnaks to all! why would you post a map showing where you pick your morels! Hhhmmmm?! not the brightest are ya? Maybe I just have a different plan? Good luck to ya! I seem to need it! Once u go 4 the 1st time , it becomes a part of u . Every year i have the " Great Morel " dream , whether i have been thinking of them or not . The biggest one i ever picked was from the top 2 the foot was 12 inches tall. That was in John Day Oregon between LaGrande and Pendleton eastern Oregon . We also picked King Boletes there . Anyhoo ,it just gets in ur blood and it's a whole lot of fun !!!!!! I never heard of hunting for morels. Interesting hub. Sorry about your poor season, maybe next year will be better Captain Jimmy. Good Luck! I wish I wasn't so far away, the seasons over her in WV and they were not to plentiful this year. Enjoy it while you can! MMM! floured and fried in butter!